‘Tis the season for politics-tinged rock and roll. Yeah, there’s always been a streak of activism and rally cries in the genre – in fact, you might argue feelings of political and social alienation inspired it all to begin with. But something about a Republican president in the White House arouses a strong streak of anti-authoritarianism and general political disgust from even the most mainstream of musical artists. Nixon had his hands full with the hippie-rock/protest movement, Reagan inspired the punks, Bush I spurned the grunge movement, and by the time of Bush II even country music found it inspiring to take on the status quo (see: The Dixie Chicks). 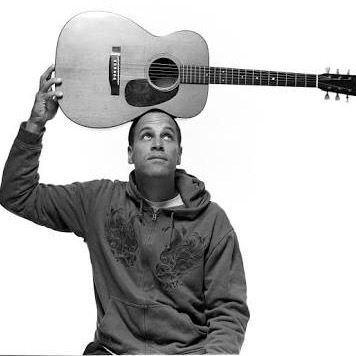 Now, less than six months into the Trump administration, we’ve got our first real song of angst and disbelief, and it comes by way of the generally relaxed Jack Johnson. Just a few months after the Trail premiered the theme song to Johnson’s anti-pollution film, “The Smog of the Sea,” the Hawaiian singer/songwriter is back with his first studio effort in three and half years: All the Light Above It Too. The new work, recorded over the past year at his Mango Tree Studio, features 10 tracks – including the earlier soundtrack release, “Fragments” – and its first single, “My Mind is for Sale,” is a biting take-down of the Donald. Check out the lyrics to the chorus: “I don’t care for your paranoid / Us against them walls // I don’t care for your careless / Me first gimme gimme appetite at all”. Johnson said the entire album, due Sept. 8, was inspired by his climate change work, the Presidential election and other current events both personal and public. “This album shares what has been on my mind during the past year or so,” Johnson told Rolling Stone in an interview published along with the official music video for the new track. Tune in for a chance to hear it all day tomorrow on this week’s edition of New Tracks on the Trail. -He lit up the charts – and our soundboard – with his surprise hit, “Riptide”, in 2014. Now Vance Joy is back with his first single since, as well as a new tour that kicks off in New York in three days. 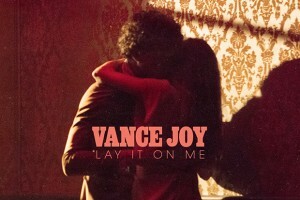 The song is called “Lay It On Me,” and presumably it foreshadows a new album – though a title and release date have not yet been announced. Idolator’s Mike Wass said the new “vulnerable” track indicates more versatility from the Australian singer/songwriter than was revealed in his debut. –Josh Ritter spent a few months collaborating with Bob Weir for the Grateful Dead frontman’s solo project, Blue Mountain, last year. Now the roles have reversed, and it’s Weir providing the assist on Ritter’s ninth studio album, Gathering, due Sept. 22. Maybe we’ll get to the Weir one eventually, but first we’re going to throw “Showboat” into rotation. Check it out, and then be sure to pick up tickets to see Ritter and his backing crew – the Royal City Band – when they hit Spokane in January. 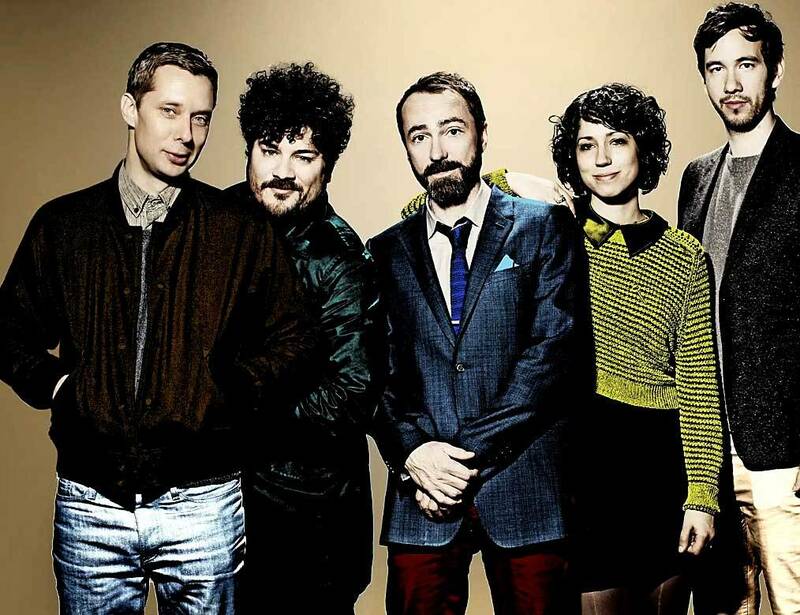 -Despite being one of the most commercially successful indie bands in the past decade, it appears The Shins never made their way onto NPR’s esteemed “Tiny Desk Concert” series. And, well, they still haven’t. At least not as a band. But lead singer/songwriter James Mercer brought Shins’ persona – and hits as far back as 2003 – to the radio program on Thursday for an acoustic performance. It’s totally worth a watch as you prep for the Trail 103.3 premiere of the band’s new single from their March release, Heartworms. If it’s half as catchy as the album’s first single, “Name For You,” you’ll be hearing a lot of this one in the coming weeks. There ya have it – another Tuesday, another batch of New Tracks on the Trail! Thanks as always to Rockin’ Rudy’s for sponsoring this neat show!